Free Shipping Included! 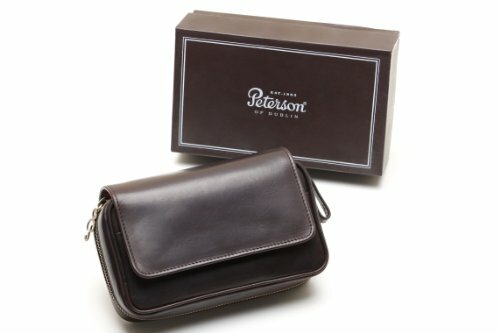 Peterson Deluxe Leather 2 Pipe Pouch by Peterson at Serious Jones. Hurry! Limited time offer. Offer valid only while supplies last. Brand: Peterson Model: Deluxe Length: 7.20 in. / 183.05 mm. Height: 2.63 in. / 67.02 mm. Width: 4.51 in. / 114.73 mm. Weight: 7.9 oz. / 223 g.